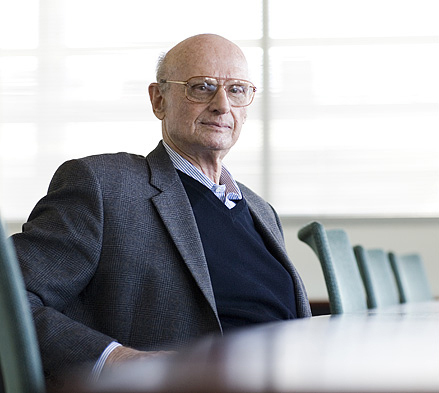 Today on the podcast Michael Covel talks with Harry Markowitz, the founder of modern finance and Nobel Prize winner. Markowitz also appeared in Covel’s documentary film a few years back, “Broke: The New American Dream”. Covel and Markowitz talk about Justin Fox and “The Myth Of The Rational Market”; Markowitz’s beginnings, and the Nobel Prize; Markowitz’s 1952 paper; how Markowitz felt about some of his prescriptions and ideas being interpreted into dogma; why Wall Street was not interested in Markowitz’s theories at one time; diversification for the right reason; Markowitz’s new four-volume book; advice on maintaining mental acuity at an advanced age and sounding like you’re 35 when you’re 86 years young; Markowitz’s attraction to the philosopher Hume; if it was fifty years later, if Markowitz would be a quant running a hedge fund today; Markowitz’s legacy; on being comfortable vs. being rich; the leveraged long-only hedge fund industry and being coaxed into putting your money into these institutions; Long Term Capital Management and portfolio theory. What a life!